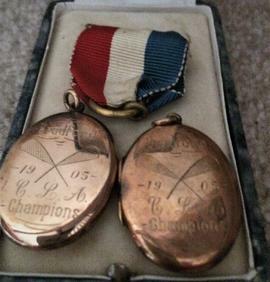 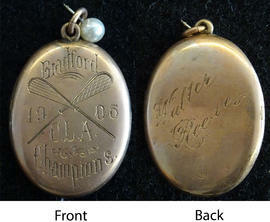 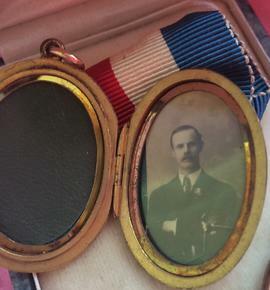 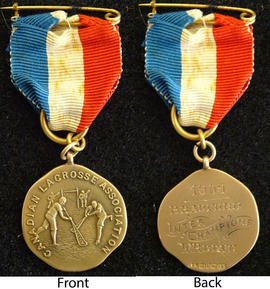 Dr. Lewis H. Campbell's portrait inside of his lacrosse championship medal, resting on a case. 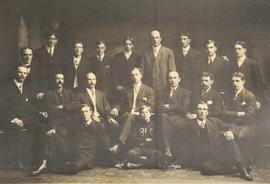 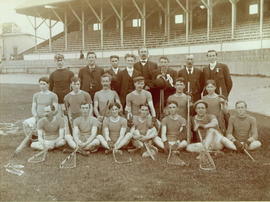 Dr. Campbell was a lacrosse champion in 1902 and 1905. 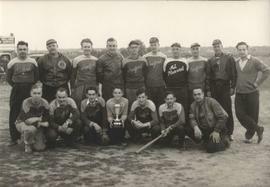 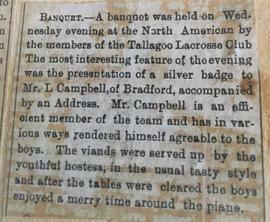 An article about a lacrosse club banquet held at the North American Hotel and attended by Bradford's team. 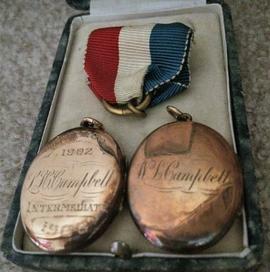 It highlights Lewis Campbell's reception of a silver badge for his contributions to the team.